County Limerick VEC and Desmond College / Gaelcholaiste Ui Chonba are fully committed to the provision and maintenance of a school environment within the organisation that is far as is reasonably practicable, safe and secure and where any risk to the security of the school / centre community is deemed unacceptable. Campus security refers to the provision and maintenance of a school infrastructural environment for staff and students which is as far as is reasonably practicable, safe and without risk to health and well-being from members of the public in the course of the school day. This policy applies to the infrastructural context of school and interaction with members of the public. This policy is a core component of the Health and Safety policy and must be read in conjunction with the same and in particular with the policy and procedures on Personal Safety for school personnel. To affirm publicly the commitment of County Limerick VEC and Desmond College / Gaelcholaiste Ui Chonba to prevent and endeavour to minimize any risk to the security of the school and the staff personnel and students therein. To develop a systematic process which promotes the introduction of safeguards to ensure that the school is as secure as is reasonably practicable and to deal with any breach of school security that may arise subsequently. To provide a framework which will delay to ensure consistent and equitable standards of safety and security in all schools. To promote the inclusion and participation of all partners, which includes student, teacher, parent and other agencies in the community in the ownership, needs audit, development and implementation of the policy and procedure. To ensure that the policy and procedure promote the safety and security of the school / centre environment as a key service priority. County Limerick VEC and Desmond College / Gaelcholaiste Ui Chonba are committed to an environment where the safety and security of staff and students is promoted at all times. The school promotes the right of all students and staff to be treated with dignity and respect in their dealings with members of the public. County Limerick VEC and Desmond College / Gaelcholaiste Ui Chonba actively promote the raising of awareness of all partners on the means by which school security will be promoted and maintained. The school is committed to an environment where open communication is promoted, where students are empowered to take up any concerns with regard to their safety and security to the Health and Safety Officer. Equally staff are encouraged to take any concern they have which may impact on their safety and security directly to Management. The school is committed to a proactive approach to safety and security where each individual is supported to take responsibility for ensuring his/her behaviour does not unduly infringe on another’s security. Student and staff development programmes promoting self-esteem, self-empowerment and assertiveness are an integral part of the promotion of a safe secure environment. Access to the school is limited by the use of a high perimeter fence / wall and confined to designated gates only. Car parking is specifically designated and clearly marked for school personnel and visitors. A system of monitoring the school grounds including the car park is recommended by the use of close circuit TV. Easily identifiable and accessible reception areas, which allow office staff to receive visitors, direct them to a waiting area / destination and answer queries etc. will limit the likelihood of unauthorized visitors on the school premises. (b) “Reception” must be clearly signposted outside the building and repeated at intervals if necessary. (c) Access to the school / centre is controlled by the use of an intercom system / CCTV placed on the main entrance and monitored by reception with a diversion to the Principal / Co-ordinator / Director / Manager when reception is unoccupied. (d) Reception appearance will entail good lighting, fixed and robust furniture and a comfortable waiting area with reading material and adequate heating. (e) It is important that reception staff can liaise with colleagues readily and speedily with security devices installed such as: intercom, panic buttons, etc. Access points for visitors other than regular supplier deliveries etc. is through the main entrance. Supplier deliveries should be given a pass at reception and proceed through barrier to back of school. Only delivery vans to park in front of rear steps. Delivery or loading bays should be kept separate from the rest of the school if possible or controlled by security devices. It is essential that a designated meeting area be set up within sight of the reception area and from which the reception area can be seen from inside the room. Introduce yourself by name; explain who you are in terms of your job / responsibility etc. Do you actually have to go to the other persons home, could transport be arranged so that they can come to the school, particularly if the person concerned has a known history of aggression? Consider conducting home visits in pairs. Always check with colleagues etc. if the person you are visiting has a history of violence. Before leaving your workplace always make sure that colleagues know your itinerary i.e. where you are going, what your plans are and when you expect to finish. Contact the school designated immediately after leaving the home visit, only if a dangerous situation is anticipated. Carry a mobile phone with you on all home visits. Always visit in daylight. Avoid evening visits wherever possible. Always check that any request to conduct a home visit is genuine. In no circumstances are private telephone numbers to be given out. A record book is kept at reception, staff must sign in and out if they have to leave the building in the course of their work. When they sign out they note where they are going, with whom or whom they are meeting, when they are expected to return and his/her mobile phone number. The receptionist is responsible for raising the alarm if the person does not return within an hour of the time they were expected back. Staff are best advised to take a calm, unemotional problem-solving approach when dealing with incidents where security is breached. Incidents which involve students at the school are best investigated outside the classroom / staffroom situation to avoid any risk of humiliating any party concerned i.e. the victim or the alleged perpetrator, in an attempt to get both sides of the story. All interviews should be conducted with sensitivity and with due regard to the rights of all students / staff concerned. Students who are not directly involved but who saw what happened can also provide useful information in this way. When analysing any such incidents seek answers to questions of what, where, when, who and why. This should be done in a calm manner setting an example in dealing effectively with a potential conflict in a non-aggressive manner. If more than one student is involved each member should be interviewed individually and then met as a group. Each member should be asked for his / her account of what happened to ensure that everyone is clear about what everyone else has said. Staff who are investigating any incident must complete an incident report form which will be given to Management. This record should include a written record of their discussions with those involved. It may also be appropriate to ask other witnesses to write down their account of the incidents. In cases where it has been determined that a breach of the code has occurred the Deputy / Principal should make contact with the parents/guardians if they consider this necessary. Explain the actions being taken and the reasons for them, referring them to the school policy. Discuss ways in which they can reinforce or support the actions taken by the school. Phase 1 of the procedure describes steps to take when the allegation is considered to be non-threatening. In the event that the alleged incident is threatening and / or serious it is imperative to proceed to Phase 2 as the first step. If an incident is identified which is considered to be an initial complaint e.g. driving on the campus grounds, the following steps can be followed which are aimed at deescalating the matter and dealing with it promptly. The school designated person / Year Head who has responsibility to investigate the allegation should be informed of the incident in the first place. Complete an incident report form. In order not to escalate the incident further, it is best to deal with the matter in a non-threatening way, inviting the alleged perpetrator to respond to the allegation that has been made, to facilitate a process to reach common understanding and to agree a mutual plan of action. In the event that the allegation is confirmed make a note of approach made, noting time, place, witnesses present, response to meeting. Parents / Guardians of each student involved should be contacted at the earliest opportunity and invited to the school to be briefed on the allegation, to be given a right of reply and to inclusion the action plan. In the event that the allegation is not confirmed the designated staff member will set up a process to monitor further breaches of the policy. In the event that an incident is confirmed and there appears to be an inability on the part of the student to take responsibility for the behaviour a referral to the Guidance Counsellor may be appropriate. Inform perpetrator that the matter will be raised with the school Principal. Inform Principal / Manager of the incident and action taken to date. Principal / Manager and school designated person will meet with parent/s and student will review all action taken to date and negotiate a plan of action to bring the behaviour to a halt. Designate a contact person, it may be necessary to designate a male and female member of staff to provide a gender balance. This person will take on the role of monitor and be available at regular scheduled intervals to meet with the alleged perpetrator. In addition this person will be available as a contact person to parents and provide feedback regularly and as necessary. The action plan will clearly define what are considered to acceptable standards of behaviour of the alleged perpetrator. Counselling will be made available. Set up interim review dates e.g. four weeks and longer end of term review with all parties. Develop and publicise a school policy on Campus Security. If an incident involving a teacher/tutor comes to the attention of a staff member inform Principal of the incident e.g. a staff member conducting a home visit without the authority of the Principal / Manager. If the alleged perpetrator is the Principal / Manager the matter must then be taken up with the CEO of the VEC directly. If the alleged perpetrator is the designated person / year head, the matter must be referred directly to the school Principal / Manager in the first instance. Principal / CEO / Designated person will inform the teacher / tutor / staff member that a complaint has been made. If the incident has involved students in any way then the Principal / CEO / Designated person will inform parents that a complaint is being processed. The Principal / Designated person will conduct an investigation into the matter ensuring at all times that principles of procedural justice are adhered to. The Principal / Manager will review the outcome of the investigation. In the event that the outcome is conclusive that an incident occurred, this outcome will be put to the alleged person requesting that the incident is not repeated. Principal / Manager will take responsibility to coordinate and oversee the plan of action. Defined expectations of the alleged perpetrator will be set out clearly in terms of their behaviour. Set up interim review dates and longer term end of term review with all parties. In the event that the incident / behaviour continues and / or if the incident is viewed by the Principal / Manager to have affected the health or well-being of the student body in general the matter will be referred to the CEO of County Limerick VEC to investigate the matter further. The investigation will at all times take account of the terms of the Code of Practice for Staff and relevant conditions of employment when processing the allegation. The CEO will conduct his/her own investigation and respond in writing within a reasonable timeframe. A formal review and appraisal will take place subsequently between the key parties to determine if any further action necessary. 1. Avoid confrontation in front of an audience, particularly groups of students. The fewer people that are involved in the incident the easier it is for an aggressor to back down and save face. 2. Involve another senior member of staff to assist in diffusing the situation. 3. Stay calm, speaking slowly so as not to be drawn into an escalating argument. 4. Be aware of your body language; avoid mirroring the aggressor’s stance. 5. Use active listening skills. 6. Contact the Principal / Manager as soon as possible. 7. Remember at all times you own safety is paramount, bring the meeting to a close if the situation is escalating. If necessary leave the room hastily to avoid any risk to your own security. 8. Call the local Gardai. Support for centre personnel who have been subject to an aggressive assault. Access – who can get into the school grounds, where and how? Egress – how can one get out of this? Exits, escape routes to well lit or populated areas? Isolation – is the location isolated? Can you contact others, see them or are seen? Alarm – how can an alarm be raised or help summoned? Hiding Places – are there places not fully visible or poorly lit? Landscaping – can it act as a screen for potential intruders? Situations – are you likely to be affected by other factors e.g. pub closing times etc. which have been shown to elevate risk? Locations – are you aware of areas of higher risk in the city / town / village / rural area and particularly risky areas such as parks, alleyways etc. Weapons / Missiles – are there items such as staplers, plants, letter openers, scissors, loose paving etc. which could be used by others or present danger? Precautions – are there physical forms of protections available to you? Develop a sub-committee with representatives of students, staff and parents to oversee policy development and implementation. Formal Desmond College / Gaelcholaiste Ui Chonba policy and procedure in place and available publicly which will include regular security audits. Encourage participation, partnership and empowerment of all parties, which will include needs analysis, participation at focus group, questionnaires and evaluation etc. In the light of the evaluation to update the policy and implementation process accordingly. Closed Circuit Television (CCTV) Systems are installed in a number of Schools / Colleges and Centres for Education and in Administrative Centres and other premises under the remit of County Limerick VEC. New CCTV systems will be introduced in consultation with staff, board of management and the parents association following the completion of a privacy impact assessment (appendix 2). Where systems are already in operation, their operation will be reviewed regularly in consultation with staff, the board of management and the parents association. CCTV systems are installed both internally and externally in Desmond College for the purpose of enhancing security of the building and its associated equipment as well as creating a mindfulness among the occupants, at any one time, that a surveillance security system is in operation within and/or in the external environs of the premises during both the daylight and night hours each day. The policy applies to all personnel, schools / colleges and other education and administrative centres under the remit of County Limerick VEC (the VEC) and relates directly to the location and use of CCTV, the monitoring, recording and subsequent use of such recorded material. Where VEC classes and activities are carried out in rented premises the VEC will ensure that CCTV systems, where installed, are operated only in a way that is compatible with the provisions of this policy. The VEC, as the Corporate Body has a statutory responsibility for the protection of its property, equipment and other plant as well providing a sense of security to its employees, students and invitees to its premises. The VEC owes a duty of care under the provisions of Health Safety and Welfare legislation and utilises CCTV systems and their associated monitoring and recording equipment as an added mode of security and surveillance for the purpose of enhancing the quality of life of the particular school/centre community by integrating the best practices governing the public and private surveillance of its premises. The primary aim of CCTV monitoring of Desmond College is to deter crime and vandalism and to assist in the protection and safety of the staff, students and visitors, VEC property and its associated equipment and materials. Monitoring, for security purposes will be conducted in a professional, ethical and legal manner and any diversion of the use of CCTV security technologies for other purposes is prohibited by this policy e.g. CCTV monitoring of political or religious activities, or employee and/or student evaluations would undermine the acceptability of the resources for use regarding critical safety and security objectives and is therefore prohibited by this policy. Information obtained through video monitoring may only be released when authorised by the Principal following consultation with the Chairperson of the Board of Management and/or the CEO of the VEC. CCTV monitoring of public areas, for security purposes will be conducted in a manner consistent with all existing policies adopted by the VEC including Equality & Diversity Policy, Dignity at Work Policy, Codes of Practice for dealing with complaints of Bullying & Harassment and Sexual Harassment in VEC Workplaces, and other relevant policies including the provisions set down in Equality and other Educational and related legislation. Video monitoring of public areas, for security purposes in Desmond College, is limited to uses that do not violate the reasonable expectation to privacy as defined by law. Information obtained in violation of this policy may not be used in a disciplinary proceeding against an employee of the VEC or a student attending one of its centres. All CCTV systems and associated equipment will be required to be compliant with this policy following its adoption by the VEC. Recognisable images captured by CCTV systems are “personal data“. They are therefore subject to the provisions of the Data Protection Acts 1988-2003. Section 2(1)(c)(iii) of the Data Protection Acts require that data are “adequate, relevant and not excessive” for the purpose for which they are collected. This means that the Principal needs to be able to justify the obtaining and use of personal data by means of a CCTV system. A system used to control the perimeter of a building for security purposes will usually be easy to justify. Such a system will typically be intended to capture images of intruders or of individuals damaging property or removing goods without authorisation. The use of CCTV systems in other circumstances – for example, to constantly monitor students or staff can be more difficult to justify and could involve a breach of the Data Protection Acts. CCTV systems will not be used to monitor normal teacher/student classroom activity in schools and centres of education. Before considering the installation of CCTV systems to other areas of the school/centre e.g. hallways, stairwells, locker areas, the Principal must demonstrate that there is a proven risk to security and/or health & safety and that the installation of CCTV is proportionate in addressing such issues that have arisen prior to the installation of the system. The location of cameras is a key consideration. Use of CCTV to monitor areas where individuals would have a reasonable expectation of privacy would be difficult to justify. Cameras placed so as to record external areas should be positioned in such a way as to prevent or minimise recording of passers-by or of another person’s private property. The use of recording mechanisms to obtain data without an individual’s knowledge is generally unlawful. Covert surveillance is normally only permitted on a case by case basis where the data are kept for the purposes of preventing, detecting or investigating offences, or apprehending or prosecuting offenders. This provision automatically implies an actual involvement of An Garda Síochána or an intention to involve An Garda Síochána. Covert surveillance must be focused and of short duration. Only specific (and relevant) individuals/locations should be recorded. If no evidence is obtained within a reasonable period, the surveillance should cease. If the surveillance is intended to prevent crime, overt cameras may be considered to be a more appropriate measure, and less invasive of individual privacy. Permission of CEO of the VEC must be obtained before considering covert surveillance. Images are recorded for the purpose of security, crime prevention and safety. appropriate signs have been posted at the school gates, the reception areas and close to all internal cameras. Section 2(1) (c) (iv) of the Data Protection Acts states that data “shall not be kept for longer than is necessary for” the purposes for which they were obtained. A data controller needs to be able to justify this retention period. For a normal security system, it would be difficult to justify retention beyond a month, except where the images identify an issue – such as a break-in or theft – and is retained specifically in the context of an investigation of that issue. The storage medium will be stored in a secure environment with a log of access kept. Access will be restricted to authorised personnel. The images captured by the CCTV system should be retained for a maximum of 28 days, except where the image identifies an issue and is retained specifically in the context of an investigation of that issue. Tapes/DVDs will be stored in a secure environment with a log of access to tapes kept. Access should be restricted to authorised personnel. Similar measures will be employed when using disk storage, with automatic logs of access to the images created. 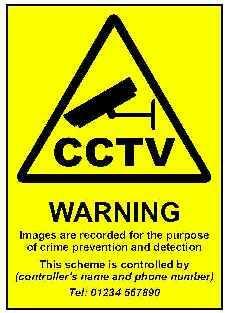 Access to the CCTV system and stored images must be restricted to authorised personnel only i.e. Principal and Deputy Principal. The tapes storing the recorded footage and the monitoring equipment must be securely stored in a restricted area. Unauthorised access to that area must not be permitted at any time. The area should be locked when not occupied by authorised personnel. A log of access to tapes/images must be maintained. Information obtained through video monitoring may only be released when authorised by the Principal following consultation with the CEO of the VEC. If An Garda Síochána request CCTV images for a specific investigation, the Principal must satisfy him/herself that there is a genuine investigation underway. A request from An Garda Síochána should be in writing on Garda headed notepaper however, for practical purposes pending receipt of the written request, a phone call to the requesting Garda’s station may be sufficient, provided that he/she speaks to a member in the District Office, the station sergeant or a higher ranking officer, as all may be assumed to be acting with the authority of a District/Divisional officer in confirming that an investigation is authorised. Any person whose image has been recorded has a right to be given a copy of the information recorded n request, provided such an image/recording exists i.e. has not been deleted. To exercise that right, a person must make an application in writing to the VEC. The VEC may charge up to €6.35 for responding to such a request and must respond within 40 days. The Chief Executive Officer County Limerick VEC, Marshal House Dooradoyle Road, Co. Limerick. Practically, a person should provide necessary information, such as the date, time and location of the recording. If the image is of such poor quality as not to clearly identify an individual, that image may not be considered to be personal data. In giving a person a copy of his/her data, the VEC may provide a still/series of still pictures, a tape or a disk with relevant images. However, other people’s images will be obscured before the data are released. ensure that the use of CCTV systems is implemented in accordance with the policy set down by the VEC. oversee and co-ordinate the use of CCTV monitoring for safety and security purposes within the School / Centre. ensure that all existing CCTV monitoring systems will be evaluated for compliance with this policy. ensure that the CCTV monitoring at the School is consistent with the highest standards and protections. review camera locations and be responsible for the release of any information or material stored in video tapes in compliance with this policy. maintain a record of access to or the release of tapes or any material recorded or stored in the system. ensure that monitor recorded tapes are not duplicated for release. ensure that images recorded on tapes/DVDs/digital recordings are stored for period not longer than 28 days and will then be erased unless required as part of a criminal investigation or court proceedings (criminal or civil) or other bona fide use as approved by the CEO on behalf of the VEC. The VEC will have a written contract with the security company in place which details the areas to be monitored, how long data is to be stored, what the security company may do with the data; what security standards should be in place and what verification procedures may apply. Security companies that place and operate cameras on behalf of clients are considered to be “Data Processors”. As data processors, they operate under the instruction of data controllers (their clients). Sections 2(2) and 2C of the Data Protection Acts place a number of obligations on data processors. These include having appropriate security measures in place to prevent unauthorised access to, or unauthorised alteration, disclosure or destruction of, the data, in particular where the processing involves the transmission of data over a network, and against all unlawful forms of processing. This obligation can be met by having appropriate access controls to image storage or having robust encryption where remote access to live recording is permitted. Staff of the security company must be made aware of their obligations relating to the security of data. The date from which the Policy will apply is the date of adoption by the Committee of County Limerick VEC. The implementation of the Policy will be monitored by the Chief Executive Officer and delegated officers of County Limerick VEC (Principal, Director, Centre Manager, APO). The Policy will be reviewed and evaluated from time to time. Ongoing review and evaluation will take cognisance of changing information or guidelines (e.g. from the Data Protection Commissioner, An Garda Síochána, Department of Education and Skills, VSSU, C&AG), legislation and feedback from parents/guardians, students, staff and others. CCTV – Closed-circuit television is the use of video cameras to transmit a signal to a specific place, on a limited set of monitors. The images may then be recorded on video tape or DVD or other digital recording mechanism. Data – information in a form that can be processed. It includes automated or electronic data (any information on computer or information recorded with the intention of putting it on computer) and manual data (information that is recorded as part of a relevant filing system or with the intention that it should form part of a relevant filing system). Access Request – this is where a person makes a request to the organisation for the disclosure of their personal data under section 4 of the Acts. Data Controller – a person who (either alone or with others) controls the contents and use of personal data. Data Processor – a person who processes personal information on behalf of a data controller, but does not include an employee of a data controller who processes such data in the course of his/her employment, for example, this might mean an employee of an organisation to which the data controller out-sources work. The Act places responsibilities on such entities in relation to their processing of the data. Before a school or college installs a new CCTV system, it is recommended that a documented privacy impact assessment is carried out. A school or college which properly conducts such an assessment is less likely to introduce a system that contravenes the provisions of the Data Protection Acts 1988 & 2003. This is an important procedure to adopt as a contravention may result in action being taking against a school or college by the Commissioner, or may expose a school or college to a claim for damages from a student. What is the school/college’s purpose for using CCTV images? What are the issues/problems it is meant to address? Is the system necessary to address a pressing need, such as staff and student safety or crime prevention? Are the CCTV cameras intended to operate on the outside of the premises only? Is it intended that CCTV cameras will operate inside of the building? Are internal CCTV cameras justified under the circumstances? Are internal CCTV cameras proportionate to the problem they are designed to deal with? Do you need images of identifiable individuals, or could the system use other images which are not capable of identifying the individual? What future demands may arise for wider use of images and how will they be addressed? Are you, the school, the data controller for the entire CCTV system (bearing in mind that some schools under the PPP are managed for operational purposes by management companies)? Where a management company is in place, are you satisfied that it complies with the Data Protection Acts with regard to the processing of images of staff, students and visitors to your school captured on any CCTV systems under its management? What could be done to minimise intrusion for those whose images may be captured, particularly if specific concerns have been expressed? How have staff, students and visitors been assured by the School that they will not be monitored and that the CCTV system will be used only for the stated purposes? Does the school’s policy on the use of CCTV make it clear that staff (teaching and non-teaching) will not be monitored for performance or conduct purposes? Have the views of staff & students regarding the location of cameras been taken into account? Has appropriate signage been erected at the location of each internal camera indicating that recording is taking place and outlining the purpose of such recording? Who will have access to the system and recordings/images? What security measures are in place to protect the CCTV system and recordings/images? Are those who will have authorised access to the system and recordings/images clear about their responsibilities? Are the camera monitors kept out of view of staff, students and visitors and is access to the camera monitors restricted to a limited number of staff on a ‘need to know’ basis? Is the room(s) which houses the camera monitors and the CCTV system securely locked when unattended? Does the school/college have a procedure in place to ensure that recordings/images are erased or deleted as soon as the retention period (28 days) has expired? Does the school/college have a procedure in place for handling requests for access to recordings/images from An Garda Síochána? Will appropriate notices be in place to ensure that individuals know that they are being monitored? Does the school/college/VEC have a data protection policy? Has is been updated to take account of the introduction of a CCTV system? Does the school have a procedure in place to handle access requests seeking a copy of images recorded by the CCTV system (within the statutory timeframe of forty days)? Has the right of access been communicated to staff, students and visitors? Has the school communicated its policy on the use of CCTV to staff, students and visitors and how has this been done? How are new students and new staff informed of the school’s policy on the use of CCTV?